How did a food once seen as strange and exotic become one of the most universally loved dishes in America? Though we think of it as the quintessential Italian dish, spaghetti actually has pretty diverse origins. You may have already heard the story of Marco Polo bringing spaghetti to Sicily from China, but it's possible that the long noodles were already a part of the Italian diet. 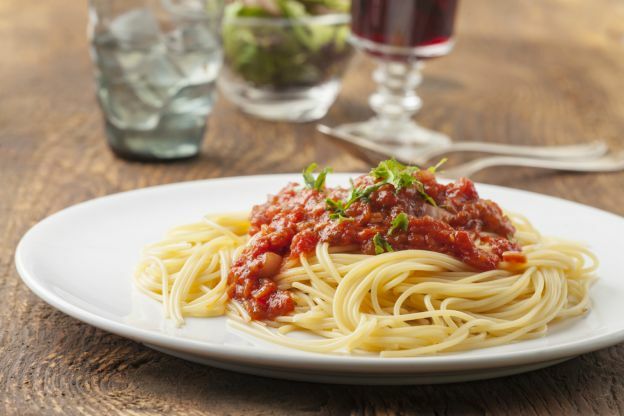 In fact, some historians say that some 500 years before Marco Polo, it was a staple for Arab traders during the invasion of Sicily, and even before then, spaghetti was mentioned in documents written by Horace. According to the Smithsonian, marinara sauce was created because wives would quickly whip up tomato sauce with garlic and oil when they saw the sailors coming ashore—marinara from marinaro, or "sailor." Towards the end of the 18th century, spaghetti was paired with red tomato sauce, and the pasta we know and love began to take shape. More and more Italians began immigrating to the United States in the late 19th century. At the time, spaghetti was seen as foreign and strange, and it was only served in Italian restaurants. After the Second World War, American soldiers returned from Europe and told everyone about the "exotic" foods they'd eaten there. By this time, many figures in American pop culture had Italian roots and some Italian characters were featured on the big screen. The real change, however, came when Ettore Boiardi—better known as Chef Boyardi—was commissioned by the American government to manufacture army rations. Chef Boyardi started making canned spaghetti and as Americans began seeing this unfamiliar food in familiar packaging, it started flying off the shelves! Today, spaghetti is as American as apple pie, having earned its place on the American dinner plate. Oh, and here's one last interesting tidbit: "spaghetti and meatballs" is an American invention. Many Italian immigrants found meat cheaper in America, so they started making bigger meatballs and pairing the protein with a starch, much like their American counterparts. Hungry for more? 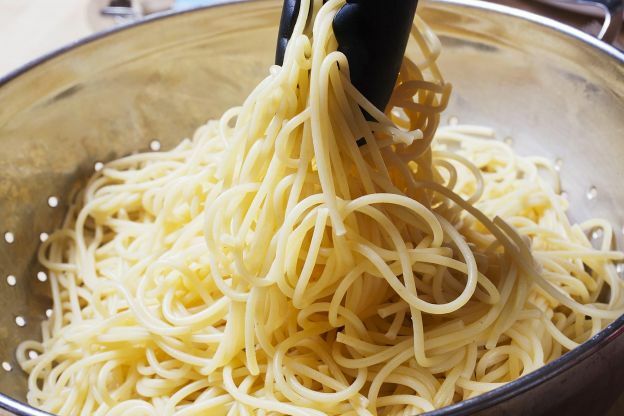 Check out 20 Spaghetti Hacks You Need to Know.